I can’t believe Avery is already three months old. It feels like it was just yesterday that Dustin and I nervously brought her home from the hospital as a tiny frail creature. Now she is an energetic human being that is ready to absorb whatever we toss her way. As expected, everything is new and exciting. She was not quite sure what to make of our Charlie Brown Christmas tree. I’m sure that will change quickly when she realizes all the wonderful gifts she will get in years to come. This picture was taken after we opened all the gifts and cleaned up. Please do not send us money for gifts. 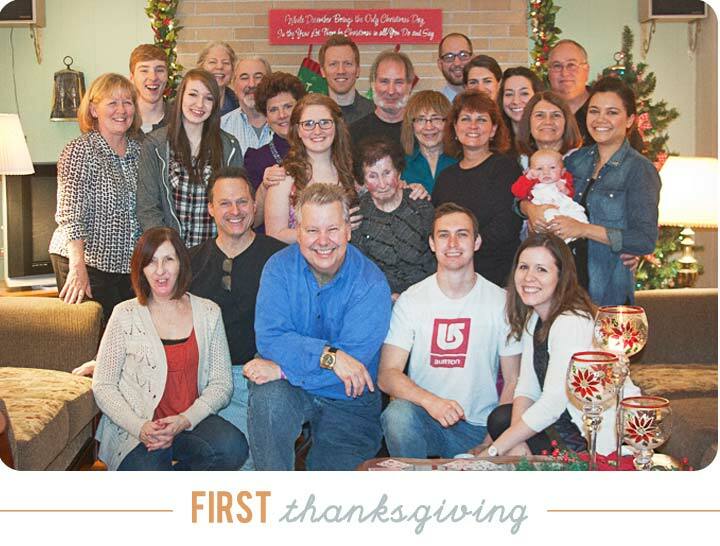 Thankfully (pun intended) we did not have to travel outside of Chicago to celebrate Thanksgiving with family this year. This was the first time that we ventured outside of our little apartment bubble since we brought Avery home. We learned a lot from this day. For one, never try to skip a nap and make up for it later. We spent the first half of the night in the coat room trying to calm Avery down. Once she slept for a little bit, she was a happy camper again. On the car ride home, we learned to never push her feeding time when we had to stop in a dark Baskin Robins parking lot to feed her. 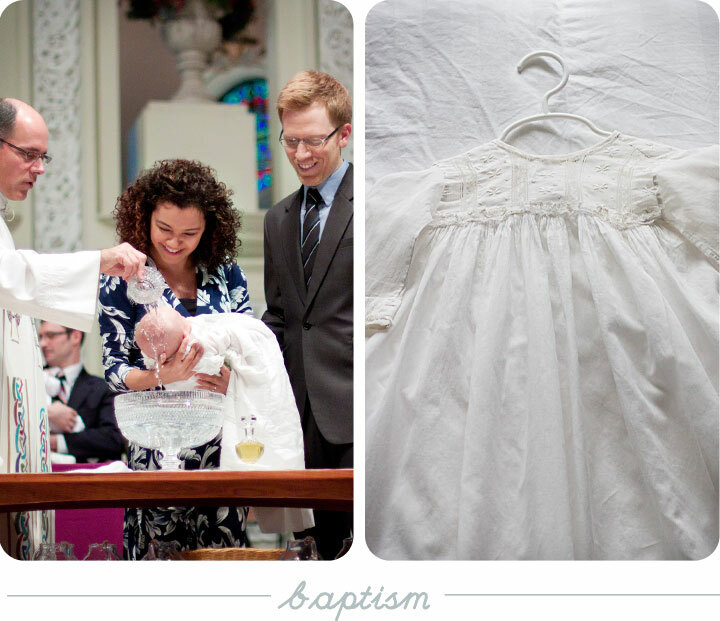 The same Thanksgiving weekend, Avery was baptized. Dustin and I both had a tough time keeping ourselves composed. We look forward to watching her grow up and this seemed like the first big step. She was very patient throughout the ceremony, but wasn’t particularly happy with having cold water poured on her head. Her baptism gown was passed down from Dustin’s side of the family and was over 125 years old, which made it seem even more special. The cold weather has given me another reason to dress Avery in cute little warm outfits, most of them resembling some cuddly animal. I can’t imagine many things being cuter than a pink polar bear. Avery has grown so quickly in the last couple of months. She looks like a toddler compared to the little scrunched up newborn we brought home. Dustin and I really had no idea what we were in for until the first week in the hospital. It was quite an eye opener to only sleep an hour or two a day. Things started gradually getting easier after then. 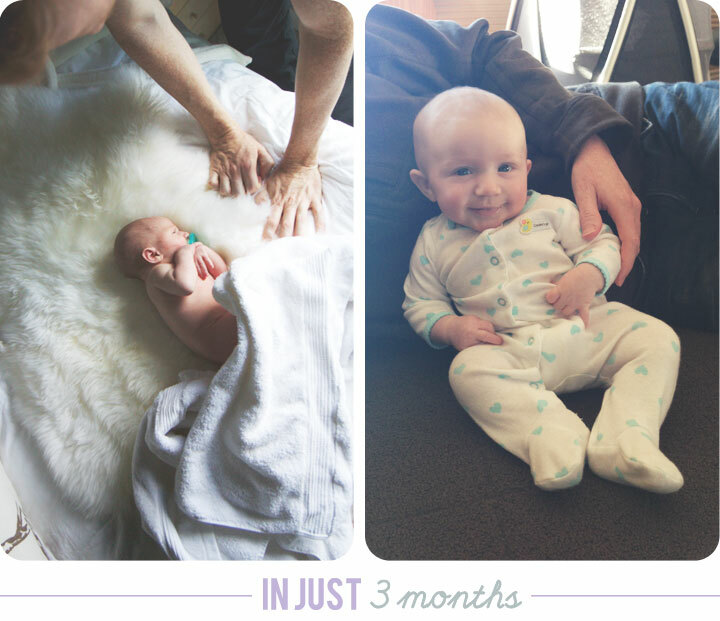 Around week 2, breast feeding became second nature and with each new week we started to figure out what made Avery tick. She is such a happy, energetic girl. She still has her witching hour at the end of the day, but it is becoming less and less frequent. Maybe it has something to due with her getting used to us too. Avery was only five days old in the picture on the left. I almost forgot how tiny she was. She seemed so scared of everything the first few weeks and even diaper changes seemed stressful. At one point, we were warming her wipes in the microwave to make it a less startling process for her. 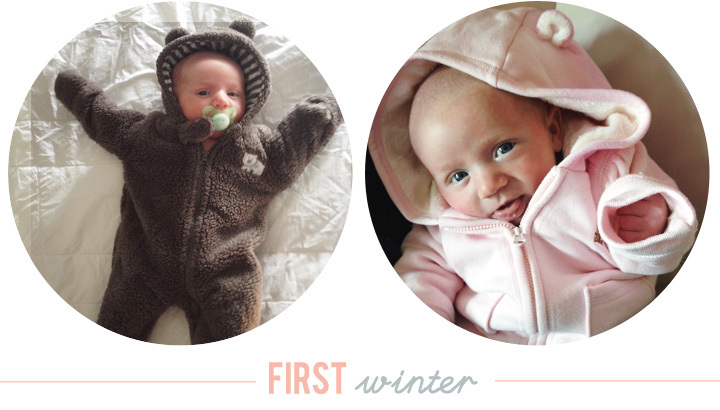 Now she loves cooing and smiling as we change her diapers…such a significant change. If Avery could walk before learning to crawl, she would. She always has a smile on her face when she is in her jumper or when we help her stand. If the last few months foreshadow her personality, she is going to be quite an ambitious child and very vocal of her likes and dislikes. We look forward to getting to know Avery a little more every day and saying we love her to pieces is an understatement. Almost every day we talk about how lucky we are and can’t believe we get to keep her all to ourselves. You are currently browsing entries tagged with Baby Updates at Chickypea.